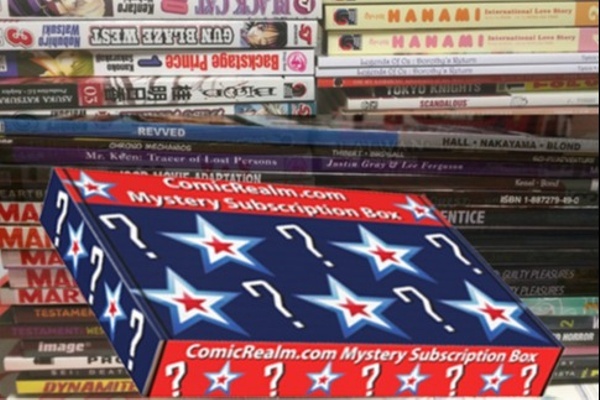 Enter your email address below to receive a notification when ComicRealm.com starts accepting new sign-ups! 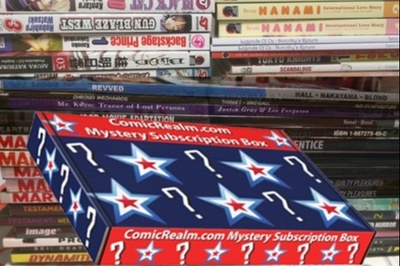 Enter your email address below to receive a notification when ComicRealm.com is accepting new sign-ups again. Subscribe by the 19th to get this month's box! Boxes are usually shipped out within a week after the 19th of each month. Great for collectors and beginners! ComicRealm is a comic collector's dream come true. Each month we hand select TPB/Mangas, Variants, Signed & Remarked comics, plus more all depending on your monthly subscription. You will get new and older issued comics, but these are all in stock and come bagged and boarded. Multiple subscriptions to choose from. We guarantee double or more the value of your subscription each month! We feature comic books from companies such as DC, Marvel, Image, Dark Horse, and more. Free bonus item(s) put in each box.